Flora Waycott’s whimsical illustrations are the stars of this perpetual Advent calendar that will hang on your wall as you flip through the days. This is a great option for busy families who won’t need to fill boxes with 24 treats or come up with extra activities to do. And, at the end of the season, just box it up and it’ll be ready to go again next December 1st. 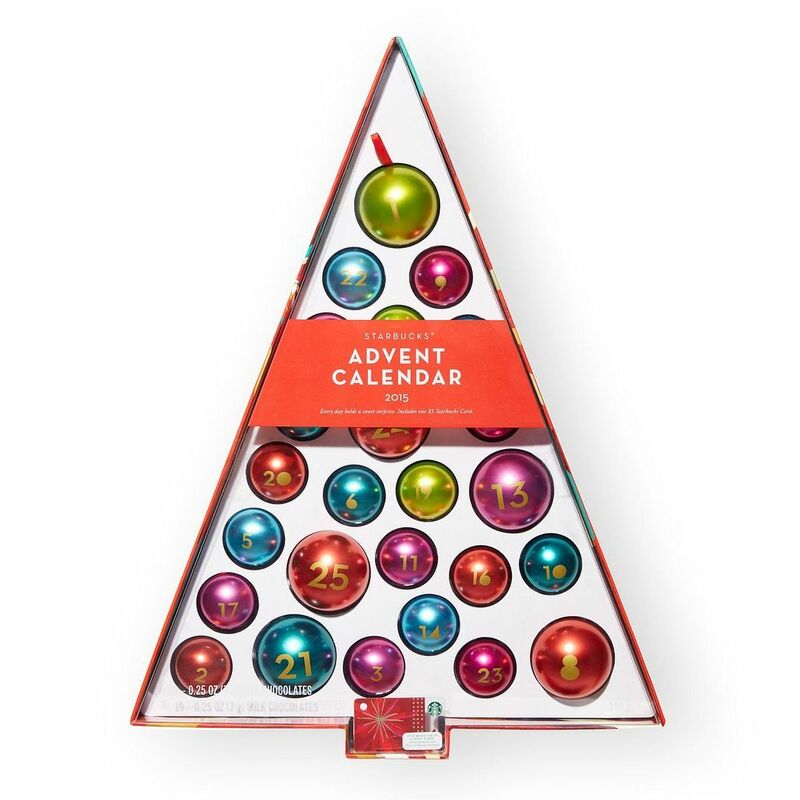 We couldn’t help but include this cute option from the ubiquitous coffee chain, who continues to wage their reported war on Christmas with their annual Starbucks 2015 Advent Calendar. The 25 little ornaments come filled with little pieces of chocolate and peppermint bark, but they’re made to be reused year after year. Just don’t try to fill any of them with a Pumpkin Spice Latte. For numerous reasons.